This sector of the war turned out to be much more important than the Finns ever thought would be the case. The areas north of the Lake are rather remote and do not offer much in the way or roads or railways. IV Army Corp was not as strong as the Finnish forces in the Isthmus and many of the soldiers and officers in this area were reservists. When the Soviets first attacked this region the scale of the attacks shocked the Finns as the Finns did not feel the Soviets would be able to concentrate large numbers of troops in the region. The Finns were wrong as the Soviets attacked with armor and heavy artillery catching the Finns unprepared. This area suddenly turned into one of the keys to the war as if the Soviets could breech the Finns lines the Red Army could bypass the Mannerheim Line and threaten Finland. It would also allow the Red Army to attack the Finnish forces on the Isthmus from behind which was a real nightmare possibility for Mannerheim. Mannerheim became concerned with this area on the first day of the war as he received reports the Red Army’s actions in the Suojärvi area was much greater than anticipated. This area was to the North of the flanks of the Finnish IV Corp. The first push was towards the city of Ilomantsi and its important road junctions but the main threat to the Finns was the Soviet 139th Division which was pushing towards the Tolvajärvi road. The goal of this Soviet division was to reach and hold the important road areas near Värtsilä and Korpiselkä as these were key supply routes for the Finns that ran south to the Isthmus. The Soviet 139th had 20,000 men, over 40 tanks, and over 125 artillery pieces where as the Finnish force facing them, Task Force Räsänen, was made up of about 4,000 men and were largely a force compiled from various units that were available. The Finns were lacking in artillery in this region as few artillery pieces were supplied and the guns the Finns had were outdated. 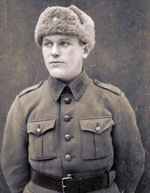 Suojärvi fell to the Soviets on 2nd of December and Colonel Paavo Talvela requested of Mannerheim that he be the replacement for Räsänen in Ilomantsi and Tolvajärvi. He felt that Räsänen had not done a good job and this front was too important to lose. Mannerheim was not ready to do this yet as he felt Talvela’s work at Finnish Military HQ was too important to lose him. The Finns had attempted a counterattack on December 3rd but this attack failed and this action was the last nail in the coffin of Räsänen's command as on December 5th, Talvela was given overall command. Mannerheim had decided that if this battle was lost, the Finnish front on the Isthmus could be threatened and this was something he could not allow to take place. Thus Group Talvela was formed with added support from Infantry Regiment JR 16 lead by Colonel Pajari who, as a Jaeger, fought in the Finnish Independence War. Also by December 5th the Soviet 155th Division was making strides towards Ilomantsi. On December 7th, Pajari arrived on the field and took command of the soldiers, and the Finns under his command were renamed Task Force Pajari. By the 9th the front was stable but still there was a massive threat of a Soviet breakthrough. Still Talvela decided that what was called for was a Finnish attack as he felt this would assist in raising Finnish morale and would also take the Soviets by surprise. The attack was to begin on the 10th, but before this could take place, the Soviets made attacks on their own trying to flank the Finnish positions. These attacks were halted and the Finnish counterattack was reset for the 12th. It was in these Soviet attacks that the so-called “Sausage War” took place, which is one of the more interesting notes of the entire Winter War. The Soviets had been able to sneak behind the Finnish lines and went undetected by the Finnish troops. The Soviets were about three miles to the northwest of Tolvajärvi and were ready to take the Finnish supply road. This road was lightly defended as most of the troops in the area were supply, cooks, and like soldiers. The Soviets took the Finns by surprise and advanced quickly; however, the Soviets were stopped when they found the Finnish cooking tents full of just made sausages. The Red Army soldiers were starving and had not had hot food for many days, so the fresh cooked Finnish sausage was too large a temptation to resist. The Soviet attack, which might have won the battle, was stopped in its tracks by the lure of hot food. The Finns were able to regroup and hunted these Soviet troops down along with most of the members of the Red Army breakthrough and killed them in the wooded areas around the roads. The Finnish counterattack plan was to engage and destroy as much of the 139th Soviet division as they could in a quick and timely manner. The plan called for one branch of the Finnish troops to cross Lake Hirvasjärvi and launch an attack on the Soviet positions. A second group of the pincer would move towards Kotisaari Island which was the acting center of the Soviet communications network. Lastly a large force would attack across the Hevossalmi Strait engaging the Red Army forces in this region. While the attacks did not go as planned the Finns did have a successful result by the end of the fighting. The fighting was fierce and very chaotic at times with the Soviets and the Finns both seeming to have the advantage as the fighting wore on. Still the Finns did force the 139th into full retreat which made this battle the first outright Finnish victory of the war. Even though all the goals of the attack were not met this was a Finnish success story. The remaining members of the Soviet 139th were routed at the Battle of Lake Ägläjärvi on December 20-22nd about 20 KM east of Tolvajärvi. The battle began on December 7th as elements of the Soviet 56th Division reached the area of the Kollaa River. Before the 7th the Finns in the area had been pushed almost 40km backward from their positions by heavy armored attacks and the Kollaa River area was the location the Finns were forced to make their stand. Kollaa was a key to the area because if the Soviets could breech the Finnish lines the entire 4th Corps could be smashed. This would open up the way for the Soviets to advance and attack the forces on the Mannerheim Line from the rear. The area of Kollaa was not seen before the war as an area of great importance but due to the nature and size of the Soviet advance, by default, Kollaa became very important. The Finnish positions in Kollaa were in most cases just slit trenches and foxholes as the soil was so hard that digging large trenches was difficult. : The Finnish Regiment JR-34, under the command of Col. Teittinen, was forced to hold this area even though they had been in some very hard fighting without reinforcements. The Soviet advance had been pushing hard against them even before the main battle took place. Soon the words “Kollaa still stands” became a rallying cry to many in Finland as the odds against the Finns holding their positions were great. This was a battle of two forces in a grinding type action as both forces fought hard and the battle was more one of attrition than anything else. The main problem for the Finns in this battle was the Soviet force was growing in size while the Finnish forces were shrinking. The Soviet tactics in this battle were to use overwhelming force against the Finnish defenders. The first Soviet attack was lead by armor and after three Soviet tanks were knocked out of action the Soviet advance stopped in place. While the Soviets tried their best to move forward the Finns were able to hold in their makeshift positions. The Finns were also limited in this battle as the artillery used was quite old and was largely ineffective. As the Soviets attacks went on the Finns became more and more stretched to hold, as the Red Army attacks had branched out on a land scale that the Finns could hardly cover. The Soviets also kept sending in more troops which the Finns could never counter in numbers. The first attacks were one Soviet division against a Finnish regiment, this later became two Soviet divisions, and this later became four Soviet divisions against two Finnish regiments. The battle drug out for weeks with the Soviets unable to gain the advantage. It was in this battle the famous Finnish sniper Simo Häyhä hunted the Soviets with his kill total being over 500 men with his sniper rifle and Suomi submachine gun. By Mid January the Soviets were worried about the outcome of the battle so decided to make one more massive attack to break the Finnish lines. The Soviets rearmed and resupplied and their artillery began to rake the Finns. Still the Finns held. In one region was the so-called “Killer Hill” in which 32 Finns were engaged in fighting against almost 4,000 Soviet soldiers. Over 400 Red Army soldiers died and only 4 Finns remained alive at the end of the battle. After the January attacks this front was secondary and most the Soviet attacks were minor however there were still daily attacks by Soviet air and artillery forces. On March 2nd the Soviets once again tried to take the Finnish positions and while meeting with early success the Finns were able to dispel the Soviets from the positions they had captured. When the peace treaty was signed Kollaa was, against all odds, still in Finnish hands. An enlisted member of JR34. advanced the Finns were able to regroup and plan for an attack. General Hägglund comprised a plan in which an attack would take place at Uomma village as this would cut off Soviet supply as well as serve as a strongpoint in case of Soviet attack from across the border. The Finns would then make use of two task forces that would attack the Soviets on a 15km line – the goal being to break these forces into smaller pieces. The attacks would focus on the Uomma road and the Finns would drive towards Ladoga. If this could be achieved the Finns would have separated the main Soviet force from supply. This main Soviet force was the 168th Division who was by now headquartered at Kitilä. The plan was a success as the Finns were in fact able to break the Soviet forces and encircle the 168th in what was, for the most part, a 20 square mile trap. This tactic took the Soviets by surprise and their reaction to it was that of not knowing just what to do. They had the Finns vastly outnumbered and also had massive artillery support but still they found themselves surrounded and cut off from the outside. While they did try to break the Finnish lines they also seemed to be somewhat content to “dig in” as they feared a larger Finnish attack. The Soviet reaction was not what the Finns expected, as the Finns had hoped the Soviets would counterattack which would allow the Finns to engage the Soviets in the wooded areas around the encirclement. As this did not happen it began to present the Finns with a bit of a problem at least in regards to the 168th Division which was a powerful Soviet force. It should be noted this battle was one of a large encirclement as well as a number of smaller ones on the outside of the larger ones.  These small pockets – the Finns had hoped – would panic and this would lead to the Finns being able to destroy them with ease. This also did not happen as the Soviets in almost all cases dug in and waited for the Finns to attack them. The fighting in these pockets was horrible and the Soviets deserve a lot of credit for being able to fight so well once dug in. In fact many of the Finnish troops attacking these mottis had nothing but respect for the way the Soviet conducted themselves. The Red Army members in most of these pockets had no supply at all, had little material to use to warm themselves, but these soldiers continued to battle on. One problem the Finns had were the great number of tanks, mortars, and artillery pieces of these Red Army units. The Soviets used their tanks as artillery pieces and the tanks combined with artillery and mortars made the Soviet positions very hard to deal with. The Finns did however discover that if these mottis were not attacked in many cases the Soviets just stayed in place, so these Red Army forces were removed from the battle. The 168th was also aided in that while they could not get out of their positions they could be supplied by air or by sleds over the frozen Lake Ladoga. As this was taking place the Finns took advantage of the Soviet supply lines on the Lake by attacking them whenever they could. There were 11 total mottis in this front and by the end of war all but three were wiped out. The large pocket of the 168th was able to survive mainly due to its size as the Finns just could not break the Soviets. It should be noted that in these encirclements there were Soviet attempts to breakout. 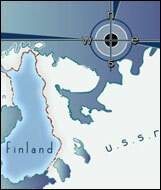 The Soviets were running low on food, fuel, or ammo and as such they had no choice but to try to break the Finns lines. In most cases when this took place the Soviets were wiped out often being hunted down in their small groups by Finnish ski troops. It is not known how many died in the wooded areas of the region. One of the more famous examples of this deals with the East Lemetti Motti in which the Soviets did attempt to escape. The Jaegers holding the Soviets in the area were greatly outnumbered by the Soviets but had held their positions around the Red troops until without warning the Soviets attacked. The attack was lead by a Soviet General Stepan Kodrajev who was the commander of the 34th Soviet tank brigade. The General was killed as were over 3000 Red Army soldiers. Those Red Army soldiers that did manage to break through came to find themselves in another motti so their breakthrough was a failure. In this action the Finns took over 100 tanks, 200 trucks, field kitchens, artillery pieces, and thousands of rounds of ammo.